Building decking in your home can add so much to your garden, allowing you to spend quality time with friends and family outside. However, although the colour, design and style of decking board is an important decision, the underlying deck structure is not something that should be ignored, including the decking bearers. 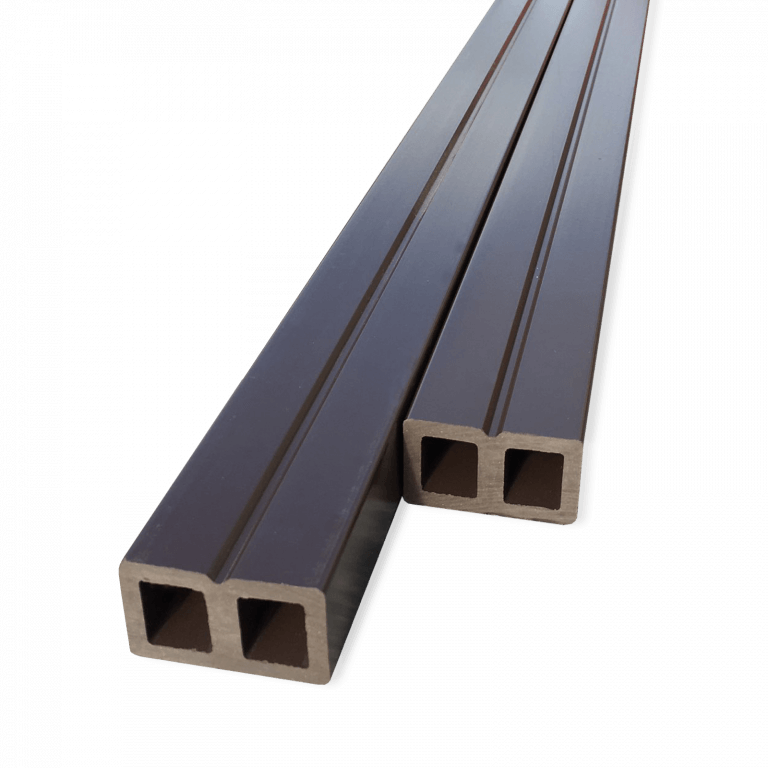 Available in 30mm (W) x 50mm (H) x 3m lengths made from wood polymer composite. The decking is attached to the joist to provide support using our hidden fixtures system. We recommend ordering 3 – 4 linear meters per 1m² of decking depending on the layout. Composite decking joists are a vital feature of any decking project, and provide a strong foundation for whatever boards and fastenings that you decide to use. A plastic decking joist makes up one of the structural features that are used to build a deck frame. Our low profile composite joists are 3 meters in length, made from wood polymer composite. The decking is attached to the composite joist to provide support and longevity to the project. We recommend using 3-4 linear meters per 1m2 of decking. However, keep in mind that joist spacing may be dictated by the type of decking boards being installed, and how they are going to be laid out. While these plastic joists will be out of sight when your decking is complete, they make up part of the vital framework, adding strength and durability to your decking. Compromising on this part, you stand to compromise the life of the decking, regardless of the quality of the rest of the materials used. These composite joists can be used in conjunction with a concrete base, suitable for most domestic decks. Fantastically high quality, they are a great alternative to standard wooden decking. The plastic content gives the boards a much longer lifespan, without the need to treat or seal the decking over its life. The looks that can be achieved with composite lumber can range in appearance, with the added benefit of remaining the same year after year. These composite joists thus have the same anti-rotting properties, extending the life of your deck even further. The joists offer a perfect pairing to our hidden fixture system, creating a smooth and professional finish.